Edgard Dutra has been training Brazilian Jiu-Jitsu for 27 years. He is originally Brazilian and currently a fourth degree black belt. Edgard received his black belt in 2004. Edgard moved to the United States 14 years ago and began teaching, everywhere, including a garage. Edgard worked full-time in several other jobs while slowly building up his student base. Making the best of the American dream, Edgard built Brazilian Top Team of Brevard County into the beautiful family school it is today. Brazilian Top Team of Brevard County has two premier venues and is the largest Brazilian Jiu Jitsu school within 100 miles. 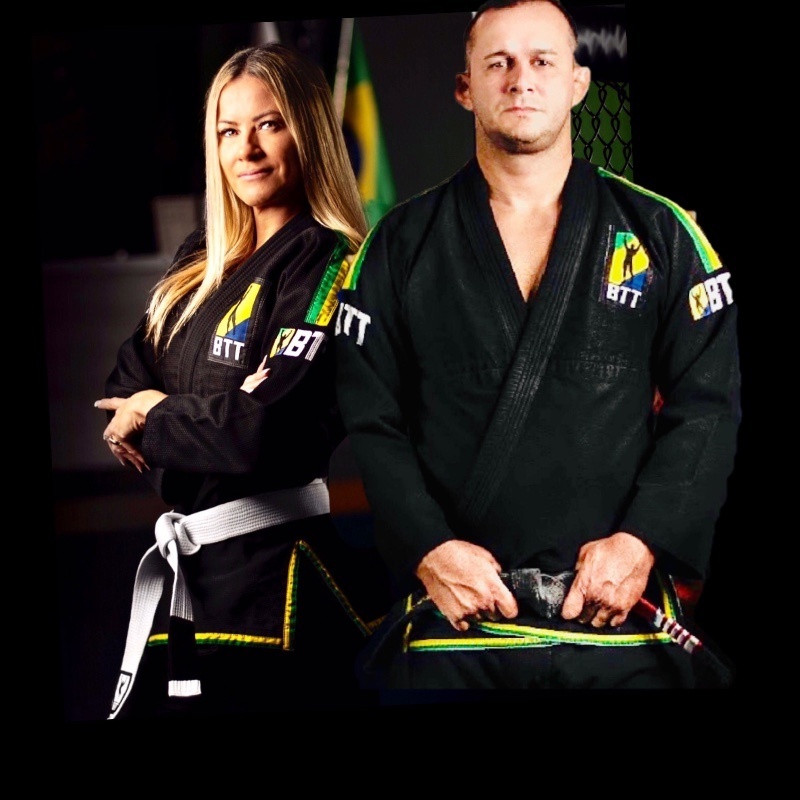 Edgard is married to co-owner of Brazilian Top Team Brevard County, Analia Dutra. Analia also comes from Brasilia, Brazil and is a very successful businesswoman. Analia is a pedagogue and has a postgraduate degree in School Administration and School Teacher. In Brazil she also had health and fitness stores specializing in organic, gluten-free and lactose-free products. Analia brings a high level of Marketing and Management to Brazilian Top Team School. Analia and Edgard manage this facility to reflect the respectful values ​​of the family in which they believe. Brazilian Top Team Brevard County understands that it is a FAMILY and strives to treat each member as such.